Here’s an idea we wish we had thought of ourselves. 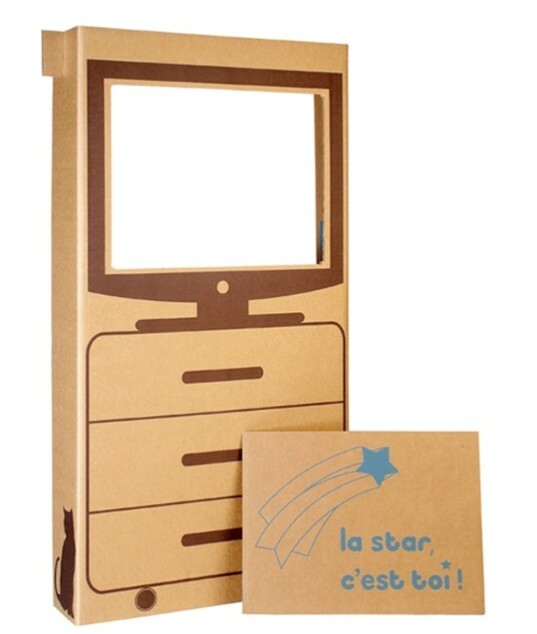 Carton Chic, designed by Armelle Vetillart, is a set of DIY put-together toy kits made from eco-friendly cardboard. Ultimately simple in scope, Carton Chic’s kits encourage craftiness and creativity, and will have your kids truly thinking outside the box. The new L’archi-maison2 ©, pictured above, is a sweet Carton Chic creation – made of ecological cardboard from PEFC and FSC certified forests. Easy to assemble and personalize, this home has plenty of room for imaginations to soar. I love that it’s a clean slate for a child. Your little one can really make this into her own tiny abode. If your child isn’t necessarily interested in creating her own furniture, consider the Decorations for Recycled Paper House (see below); five fun sheets full of tiny people, electric guitars, and furniture galore to color, cut, and paste. 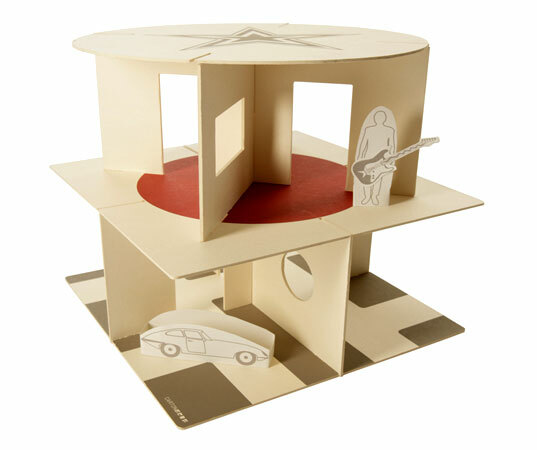 Carton Chic designs are based on popular traditional toys such as playhouses, puppet theaters, and doll furniture. Carton Chic takes imaginative play a step further, by offering a contemporary look, and the ability to customize each toy. Of course you’ll feel great about Carton Chic because these toys are not only extremely affordable, but they’re also ethical and 100% recyclable. Affordable and green – it doesn’t get any better than this when it comes to stocking your child’s playroom. What do you think of the Reversible Cardboard Theater shown below? I love it! I can imagine all sorts of play productions and performances using this theater that would really make a child feel like a star. You could jazz this theater up with paint and glitter too. Visit the Carton Chic website to locate in store and online retailers. 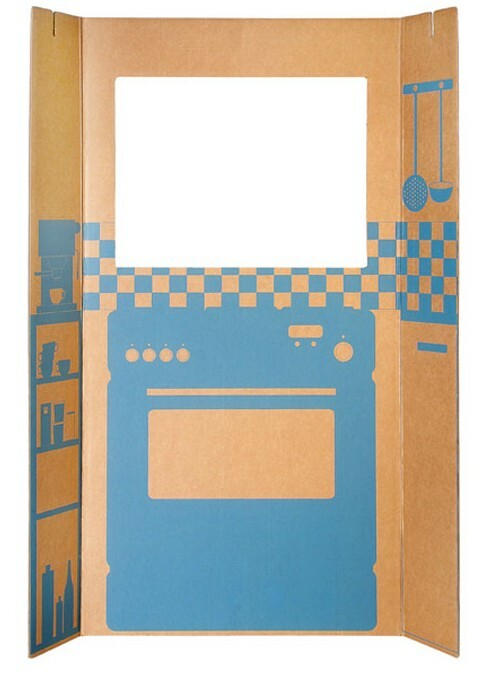 As a kid, I always tried to make my own cool cardboard creations with boxes, but somehow, they never looked this good! Here's an idea we wish we had thought of ourselves. 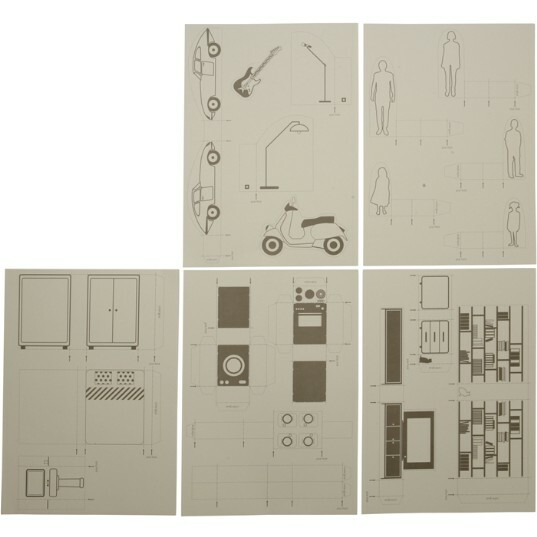 Carton Chic, designed by Armelle Vetillart, is a set of DIY put-together toy kits made from eco-friendly cardboard. Ultimately simple in scope, Carton Chic's kits encourage craftiness and creativity, and will have your kids truly thinking outside the box.